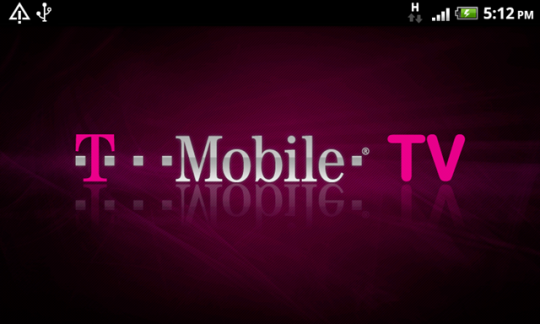 Looks like the new video-enabled Yahoo app wasn't the only thing ripped out of the leaked ROM for the new T-Mobile myTouch - the T-Mobile TV app, which is no unfamiliar sight, has just been pulled out of the ROM as well. As we can see in the screenshot above, the interface is quite slick, with a nice black bar along the bottom to select content providers (FOX News, MSNBC, ABC News, CNBC, ESPN, and NBC Sports from what's visible). Androinica claims that the service is powered by MobiTV, much like Sprint TV as well as AT&T's and Verizon's offerings, which is fine with me... or rather, it would be if it meant that T-Mobile would be able to make the service free. Alas, it begins with a thirty-day trial to lure you in, and after that, the carrier will charge you an additional $9.99 a month. Nevertheless, if you're the proud owner of a Nexus One or a G2, the app can be downloaded simply by clicking this link. And as for the rest of us... let's give it some time, yeah? 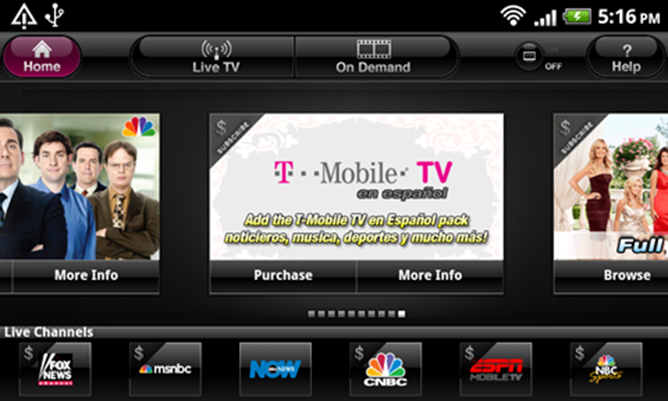 Update: We've just received word from MobiTV confirming that T-Mobile TV will indeed be powered by their platform. Additionally, as Brett pointed out in the comments, the $9.99 monthly fee is for "premium channels," while "basic channels" remain free even after the 30-day trial period.